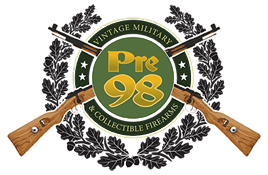 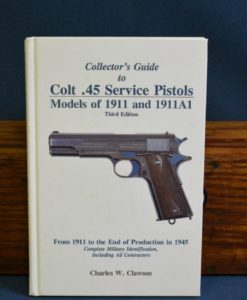 IN 95% ORIGINAL CONDITION WE HAVE A NICE EXAMPLE OF A VERY HARD TO FIND EARLY TO MID 1914 PRODUCTION COLT 1911 US ARMY PISTOL. 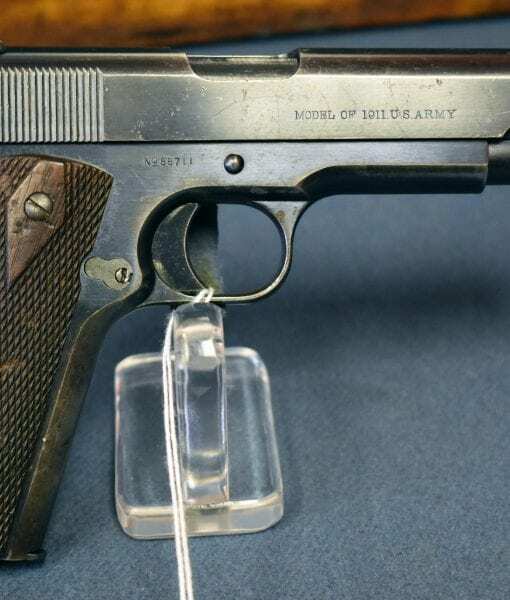 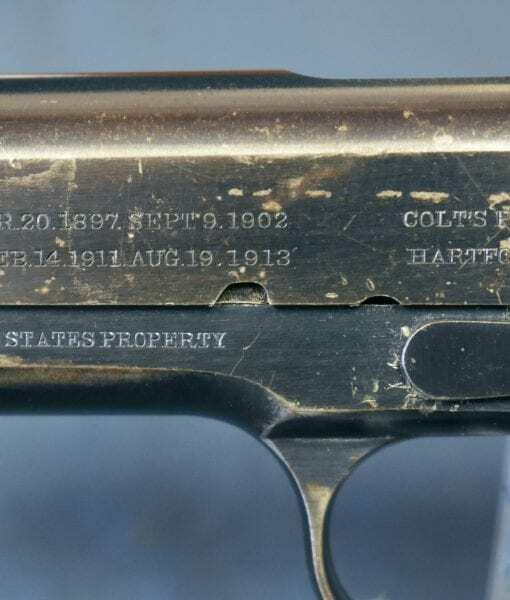 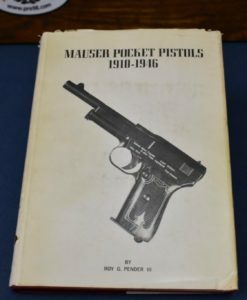 THIS PISTOL WAS ONE OF ONLY 350 SENT TO BRIG GENERAL THOMAS J STEWART, HARRISBURG, PA FOR THE NATIONAL GUARD OF THAT STATE ON JULY 3, 1914. . 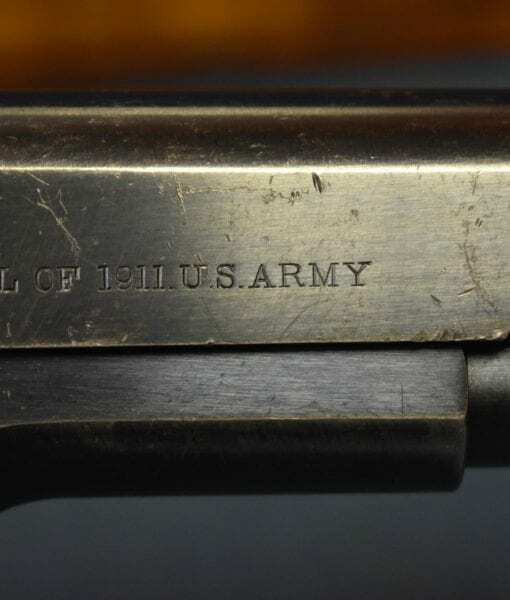 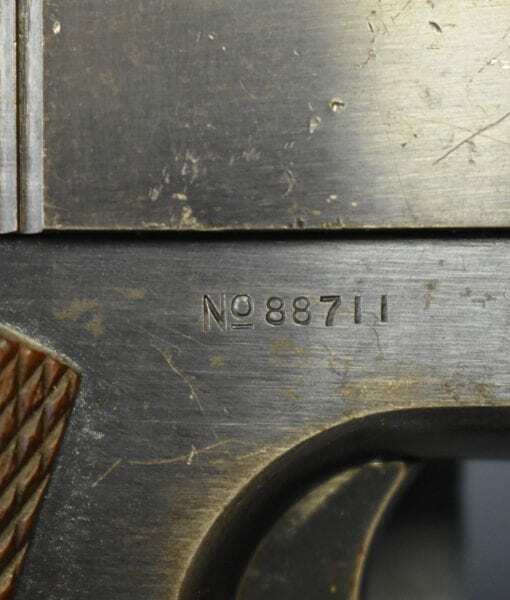 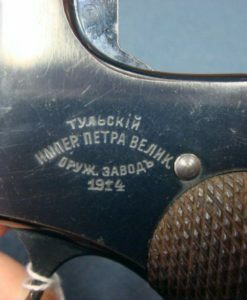 ALMOST CERTAINLY THIS PISTOL SAW ACTION IN WW1 WITH THE PA GUARD UNITS THAT WENT INTO THE REGULAR ARMY. 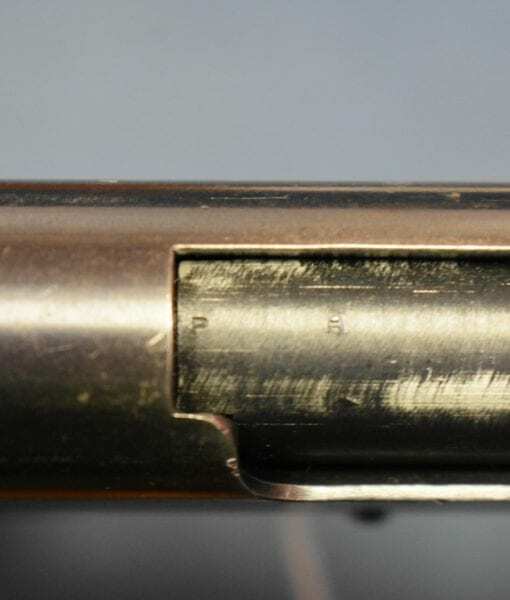 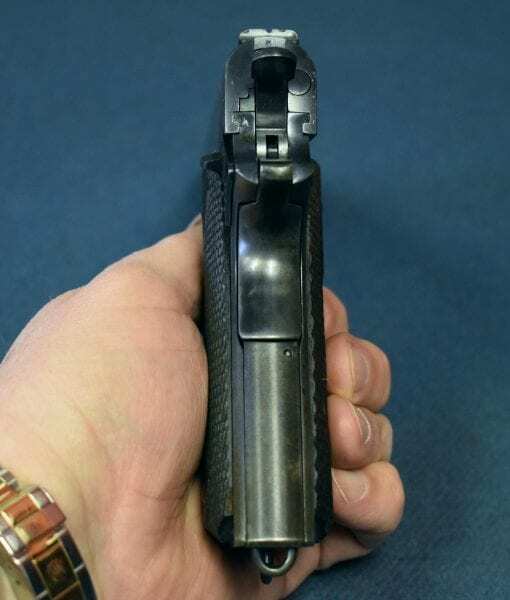 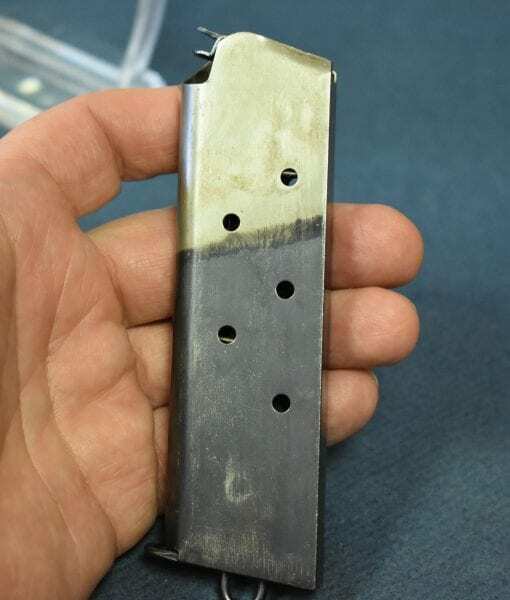 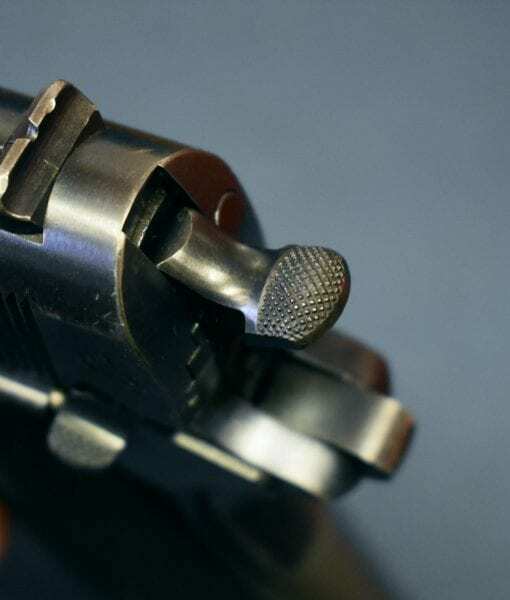 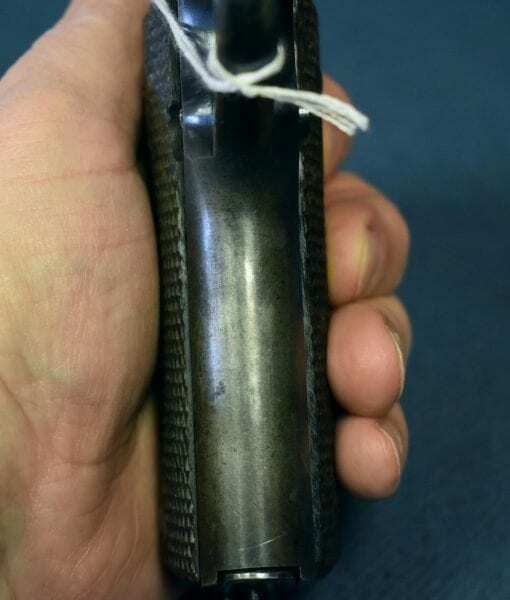 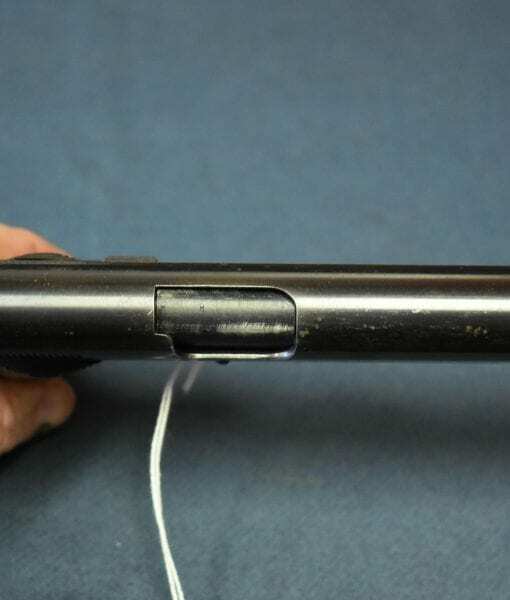 THE GUN IS 100% CORRECT INCLUDING THE VERY HARD TO FIND ORIGINAL BARREL. 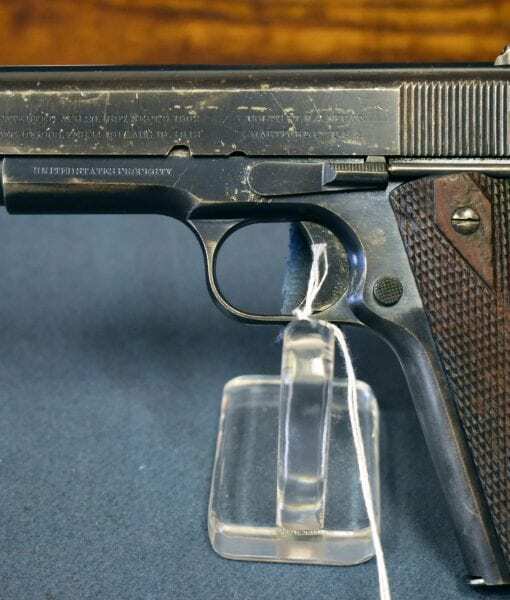 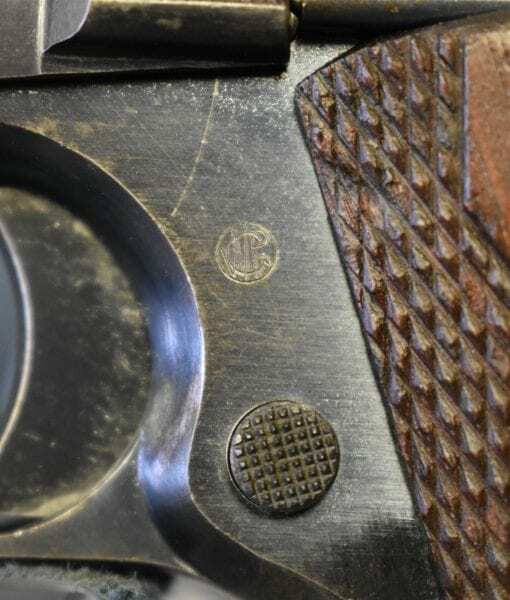 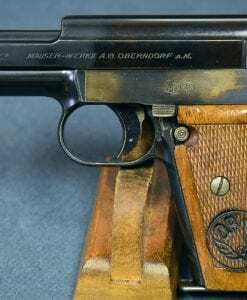 ALTHOUGH NOT A MINT STUNNER THIS IS A VERY ATTRACTIVE HONEST PISTOL IN A CONDITION THAT HAS A LOT OF ATTRACTION. 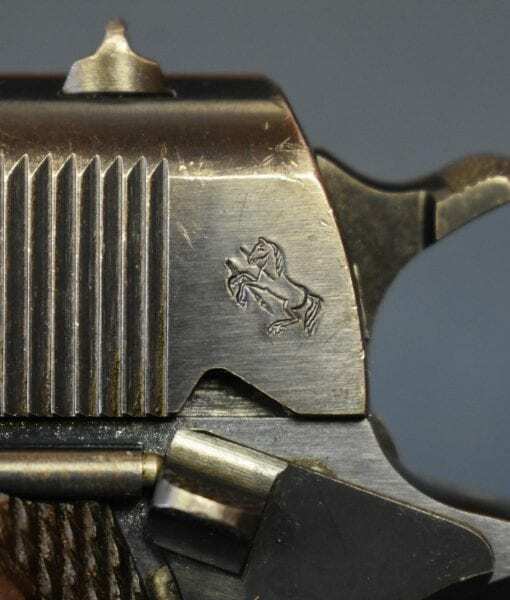 IT REALLY LOOKS LIKE IT WAS THERE AND DID IT………… IT HAS A LOT OF ROMANTIC APPEAL EVEN TO ME. 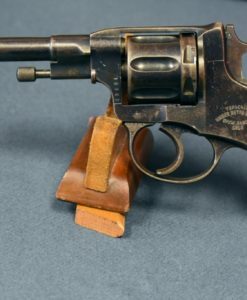 THESE EARLY PISTOLS ARE VERY TOUGH TO FIND IN THIS FINE CONDITION AS MOST OF THEM SAW CONTINUOUS HEAVY USE RIGHT THROUGH 2 WORLD WARS.